The Planes of Fame Air Museum is starting the new year with an interesting topic for its monthly Living History Event.The subject for the January 4 event is ‘Aviation in the Movies’, featuring the Curtiss P-40 Warhawk. 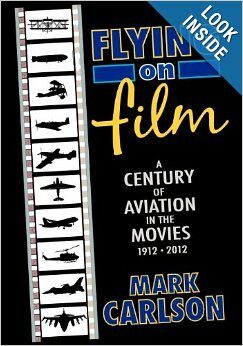 The featured speaker will be Mark Carlson, author of Flying On Film: A Century of Aviation in the Movies, 1912-2012, who will also be selling and signing his books. Joining him will be Robert J. Friend, Lt. Col. USAF Ret., former Tuskegee Airmen fighter pilot in WWII. Mark Carlson is a freelance writer, aviation historian, student of filmmaking, and classic film connoisseur.In Flying on Film movie fans and aviation buffs can find their common bond. From wooden biplanes to armadas of warplanes, from majestic China Clippers to huge 747s, from slow monoplanes to swift jets, the movies told the story of the airplane. William A. Wellman’s 1927 masterpiece Wings was the first of the breed, the standard to be emulated. Flying on Film is the history behind the films. Veterans and aviators from past and present tell the real story of one of the most fascinating genres of motion pictures in Hollywood. Robert J. Friend and Mark Carlson presentations will be followed by a question & answer period and flight demonstration when possible. 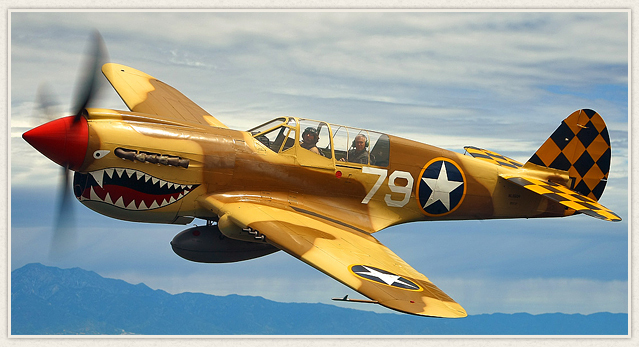 The P-40 will be on display and perform a flight demonstration. 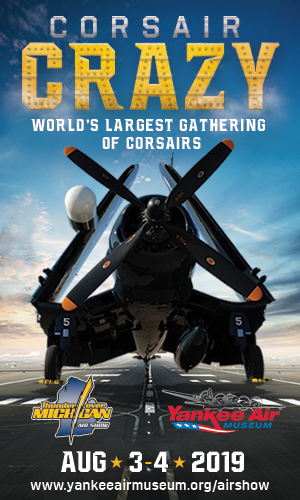 At 12:00 noon, the Membership-sponsored raffle flight will occur in the featured aircraft if possible.